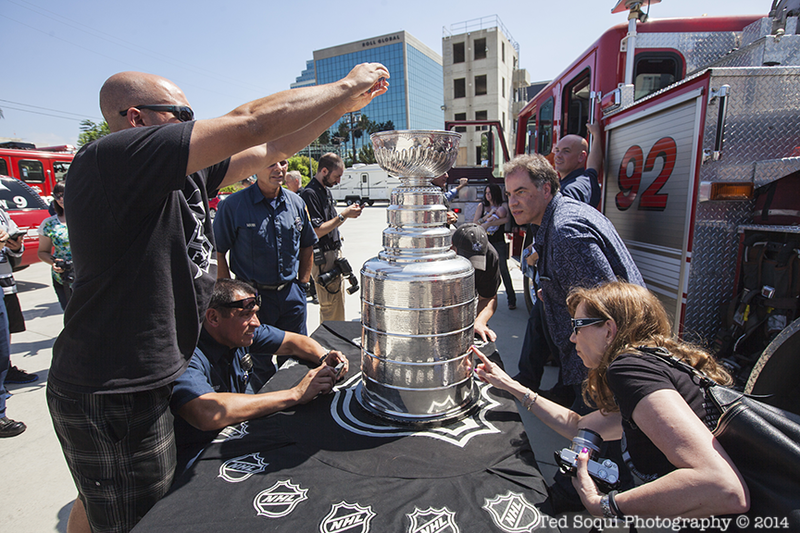 Lord Stanley's Cup paid a visit to LAFD station 59 in Century City this afternoon. 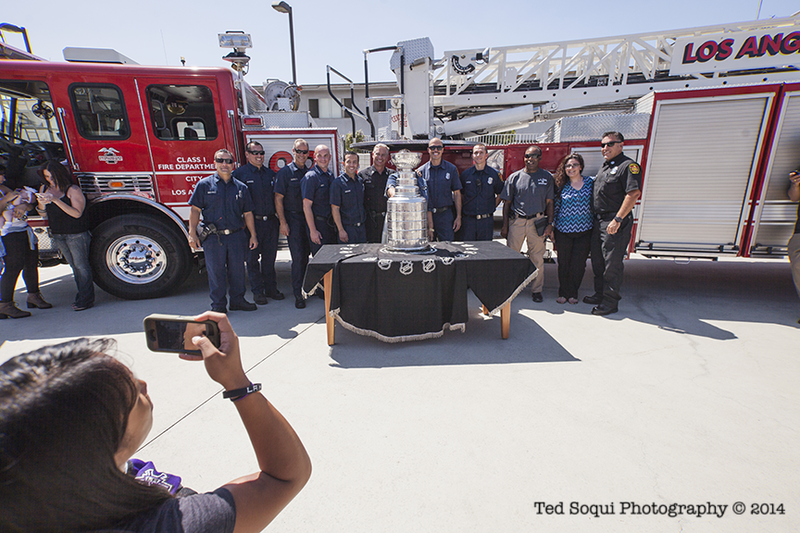 Firefighters and their families had the opportunity to take their photo with the cup, which was last won by the 2014 Los Angeles Kings. 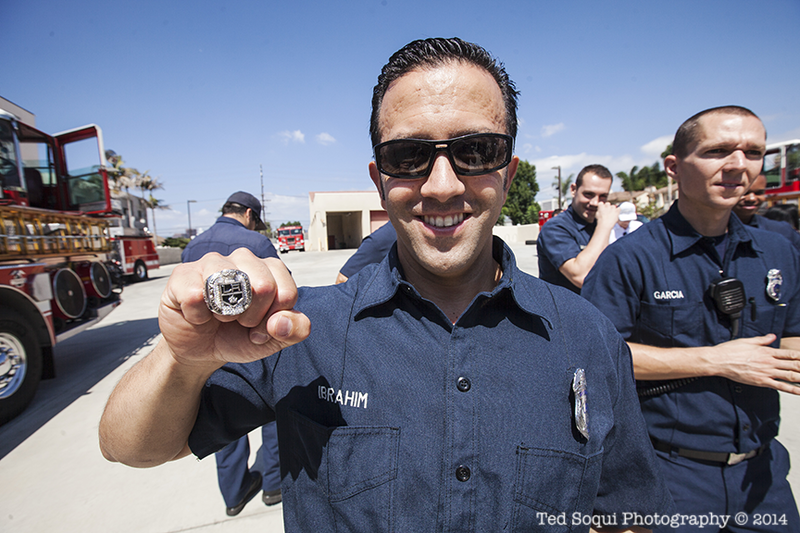 Several lucky firefighters got to try on a 2014 LA Kings Championship ring which was made by Tiffanys. LA Kings 2104 Championship ring. 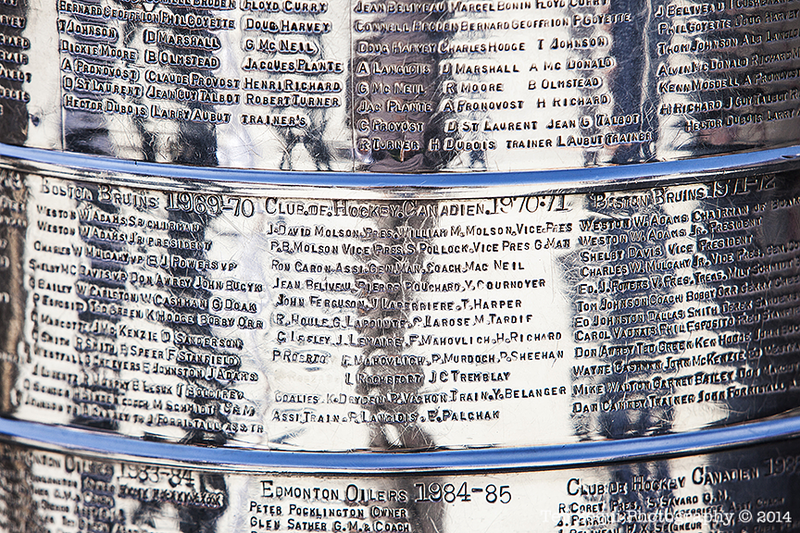 Names on the Holy Grail. LAFD Station 59 with the cup.